Bobcat Radio is on the air 24 hours a day, 7 days a week. If you're in or around Hallsville, tune your radio to 104.9 FM. But hey now, radio is so passé, I'm young and hip. Indeed you are. To listen on the web, click here and bookmark our mobile web-app enabled (HTML5) player. To create a web application on your mobile device, after loading the page select the add to home screen option from your mobile browser settings. To listen on your shiny new mobile device with a native app, we recommend using the Streema Simple Radio player. The app is free (ad supported) and available for Android and iOS operating systems. Simply install and search for KQAT. While your there, follow us for event scheduling and other updates. Bobcat Radio hosts a veritable plethora of music and happenings including the hits of the 60's and 70's, sporting events, and news from around the Hallsville area. To listen on the web, click here and bookmark our mobile web-app enabled (HTML5) player. 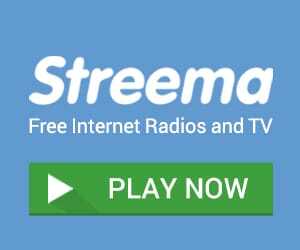 To listen with a native app, we recommend using the Streema's Simple Radio player. Just install the app on your phone or tablet, then search for "KQAT". As required by the Federal Communications Commission, Bobcat Radio puts on display all public comments, suggestions, and complaints. Anyone may enter information about community interests in the public file by contacting us via email at bobcatradio@hisd.com.